In 2014 and in 2015, I had the pleasure of editing a portion of a magazine called Celebrating Women, published by Business Times in partnership with the Businesswomen’s Association of South Africa (BWASA). I handled the BWASA content for the mag, which is distributed as a supplement of The Sunday Times to all subscribers, and also wrote some other articles for the publication. 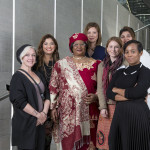 One of my favourite parts of the 2015 project was getting to interview Dr Joyce Banda, former President of Malawi, who was the 2015 keynote speaker for the BWASA Businesswoman of the Year Awards (BWOYA). She is an inspiring woman who is passionate about many of the same things I am, and has led magnificently by drawing from her own tough personal experience. Dr Joyce Banda, former president of Malawi, is an entrepreneur, activist, politician and philanthropist. She was Malawi’s first female president (2012 to 2014) and was voted Africa’s most powerful woman by Forbes Magazine for two years running. She is a champion for the rights of women, children, the disabled and other marginalised groups. Before her tenure as president, Dr Banda served as a member of parliament; minister of Gender and Child Welfare; foreign minister and vice-president of the country. While serving as minister of Gender and Child Welfare, she championed the enactment of the Prevention of Domestic Violence Bill in 2006. She explains that her father took the counter-cultural decision to let her live with him and attend school in town, instead of being raised by her grandmother in the village, as was custom with the firstborn girl child. Her father convinced her grandmother that he would send her to the village on weekends, where she could be schooled in cultural skills, while still receiving the best possible formal education. Dr Banda’s leadership journey has been filled with personal challenges – from watching her childhood village friend struggle to access opportunity because her parents simply couldn’t afford the $6 fee to keep her in school, to being locked in an abusive marriage due to a lack of empowerment, to almost dying in childbirth. Yet these issues have become the foundation of her life’s work. She has tackled the challenge of securing education opportunities for African girls and empowerment for women, implemented laws that protect women and children against domestic abuse, and championed better healthcare for women, particularly in terms of maternity. Dr Banda has worked hard to ensure that she has taken other women with her on her own journey to the top, and she continues to work towards seeing more women in leadership, particularly at parliamentary level. The Joyce Banda Foundation is launching an initiative in October this year in Accra, Ghana, called “Elect her into office”. Her own experience in passing the Prevention of Domestic Violence Bill in Malawi taught her that, for there to be regulatory decisions passed that benefit women, there need to be as many women in parliaments as possible, working together for the benefit of all women. Under Dr Banda’s presidency, Malawi saw its first women chief justice, head of the Secret Service and solicitor general, as well as two female deputies of the Reserve Bank and eight district commissioners. In total, she appointed over 100 women.